One of the most efficient ways to build wealth over time is through investing. When you invest, the principle of compound returns works on your behalf. Your money works for you, and not only do you earn money on the initial capital you invest, but you also earn money on your earnings. Many investors like to use stocks as part of their plans. Stocks provide an opportunity to see somewhat larger gains than one would see with bonds and especially cash. While there is volatility involved with stock investing, over time, that volatility tends to smooth out. Over long periods of time, spanning at least 25 years, stocks have yet to lose value. So, while stocks might have negative returns for a year or two (or even more), over the long haul stocks have historically gained. So, if you are looking to improve your long-term fortunes with the help of investing, it’s a good idea to know how to buy stocks. Individual: It’s possible for you to buy stocks on an individual basis. 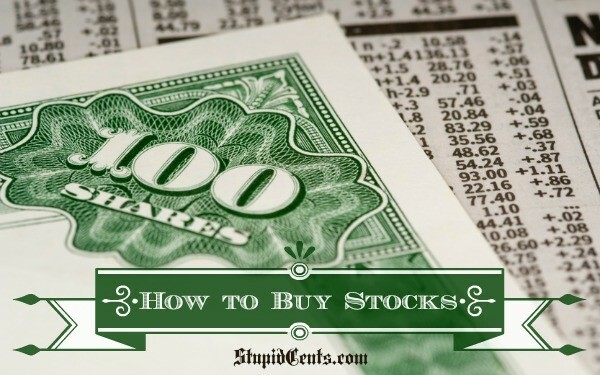 When you buy stocks in this manner, you end up purchases shares of a specific company. This is the riskiest course of action, since individual stocks have more volatility. Plus, if you pick a loser, then you are out the money. Mutual Funds: These investments are groups of stocks that you can at once. Instead of trying to pick individual stocks, you have the advantage of a group of stocks. A mutual fund might include a number of stocks from the same sector, or it might be a fund managed with a specific purpose in mind, such as growth or income, or it might be an index fund, following a particular index, such as the S&P 500. An index fund is usually a less expensive than a managed fund, and all you have to do is invest, and your investment grows with the index. Funds, though, are traded at the end of the day, and not traded on the exchange. ETF: Another option when you to decide how to buy stocks is to consider the ETF. ETFs include groups of stocks, much like mutual funds. However, instead of being mutual funds that are traded in a special way, an ETF trades like stocks, making it easy to buy and sell, while still getting the advantage of a group of stocks — rather than having to pick stocks. ETFs are also usually very cost-efficient, with low expense ratios and the ability to get the low transaction costs associated with stock trading. What you choose depends on your needs, as well as your ability. For most beginners, though, it makes more sense to invest in an index fund or an ETF in order to avoid some of the pitfalls that come with stock picking. Carefully think of your situation, and what you think is likely to work best for you. It’s fairly easy to buy stocks when you open a brokerage account and choose an index fund or ETF. You don’t need to worry about choosing the “right” stock, and you gain the benefit of the gains in the market.